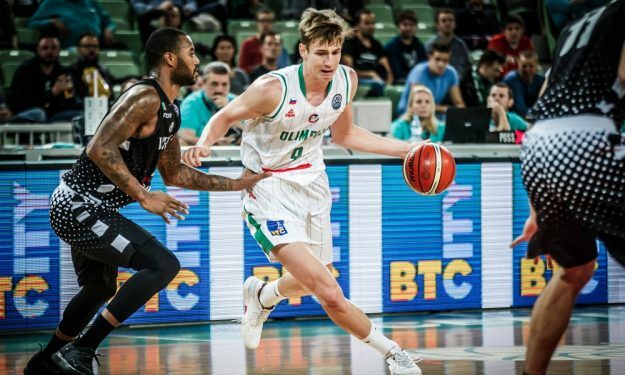 Luka Samanic put on a strong performance and led Olimpija to a convincing win over Igokea in ABA League. Petrol Olimpija went ahead in double-digits early and kept going for a convincing 92-69 home win over Igokea on Day 19 of ABA League. Luka Samanic led the winning side with 18 points and eight rebounds while Jan Span flirted with a double-double by notching 14 points and nine assists. For Igokea, Danilo Andjusic nailed game-high 21 points. Olimpija improved to 6-13 and is now tied with Igokea. Over the weekend, Partizan (13-6) beat Buducnost (13-6) grabbing the tiebreaker while Crvena Zvezda secured the first seed (18-1).